but that didn’t fix my Qute button tooltip-labels. If I could find the qute.jar (god I’ve looked), I could probably find the fix. Okay, now I just feel silly. I still don’t have the CSS that will force the tooltip-labels to be a different color than my system tooltips. But it did occur to me to color my system tooltip text black. Still, I wouldn’t mind the fix. 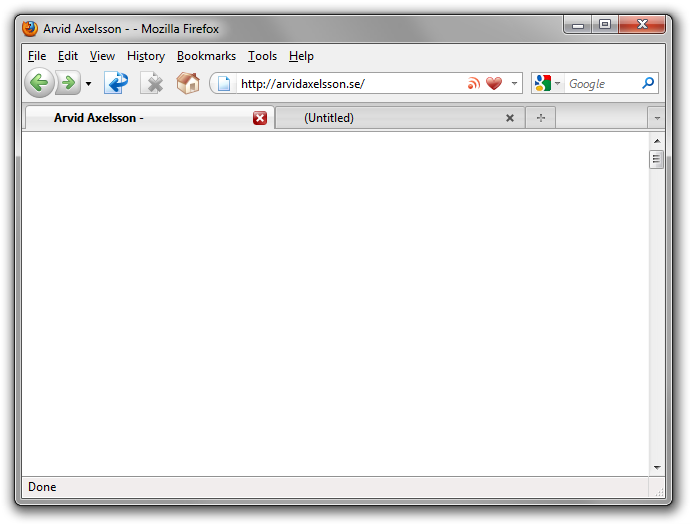 Hi, I’ve just installed your theme add-on that is Qute 4.1 from http://addons.mozila.org, and I can’t install it on firefox 3.6, the button “use theme” is disabled, do you know why, and how to fix this problem? Hello again, now I can use your theme. I think, your themes kempelton and qute are the best, they’re my favorite ^^, thank you so much for making those themes. Now make it compatible with the new personas option in firefox 3.6 and you get a winner. Ethorsen: As far as I know that is not possible. I have been enjoying Qute for years. Thanks for making it available! Will Qute be updated for Firefox 4? I would also like to know if will Qute be updated for Firefox 4?